Canadian homeowners and lenders are increasingly cautious when it comes to borrowing and granting mortgages, according to a new CAAMP survey of its members. "This new research shows that Canadians are assessing their abilities and vulnerabilities," said Jim Murphy, president and CEO of CAAMP. "The vast majority of Canadian mortgage borrowers are not taking on undue risks. 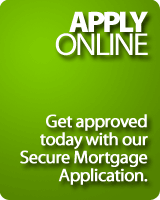 They have factored rising interest rates in to their mortgage decisions." The survey includes data from CAAMP members who issued more than 40,000 mortgage loans last year. The findings show 86 per cent of home buyers chose fixed-rate mortgages last year and 70 per cent of those buyers chose a term of five years or more. In addition, CAAMP said the "vast majority" of people who took out their first mortgage in 2009 borrowed less than they could afford. "The bottom line from the simulations is that even though mortgage payments will probably rise for most borrowers, the increase in their incomes will more than offset the higher payments," said CAAMP chief economist Will Dunning, who authored a report accompanying the survey research. "All in all, the degree of risk from rising mortgage rates appears to be small and manageable."